The Stikeman Chair in Tax Law is very happy to announce the program for the 2018 McGill Tax Policy Colloquium, which will take an interdisciplinary approach to tax policy analysis. The colloquium is made possible by a grant from Spiegel Sohmer. Each talk will take place 16h-17h30, in room 102, New Chancellor Day Hall. The land on which we gather is the traditional territory of the Kanien’keha:ka (Mohawk), a place which has long served as a site of meeting and exchange amongst nations. Oct 22: Sam Singer, Assistant Professor, Faculty of Law, Thompson Rivers University. Prof. Singer's research focuses on tax dispute resolution, the policy rationales underlying tax measures, and the regulation of charities and charitable giving. He is a graduate of McGill Law. As always, colloquium presentations are open to all, and we will post more information closer to each date. Tensions around tax fairness have always provoked political engagement and lively protest. Such tensions account for some of our nation’s best and worst moments of social solidarity and mutual hostility. On the centenary of income tax in Canada—first collected in 1918—we take the opportunity to explore what “fairness” means. Is it a technical question or a philosophical one? Is it best resolved by statisticians or lawyers? How to subject such complicated questions to democratic accountability? By asking how Canadians have discussed tax fairness in the past and how we might better do so in the future, our exceptionally diverse array of speakers will lend depth and sophistication to contemporary debates. The Centre for Intellectual Property Policy, the Centre for International Governance Innovation and the Stikeman Chair in Tax Law are organizing Innovation Week 2018 - Putting Innovation in a Box, which will run from February 19 to February 23, covering subjects such as Blockchain, BREXIT, Big Data, Tax Policy, and more! Join the Stikeman Chair for an exciting program of conferences. 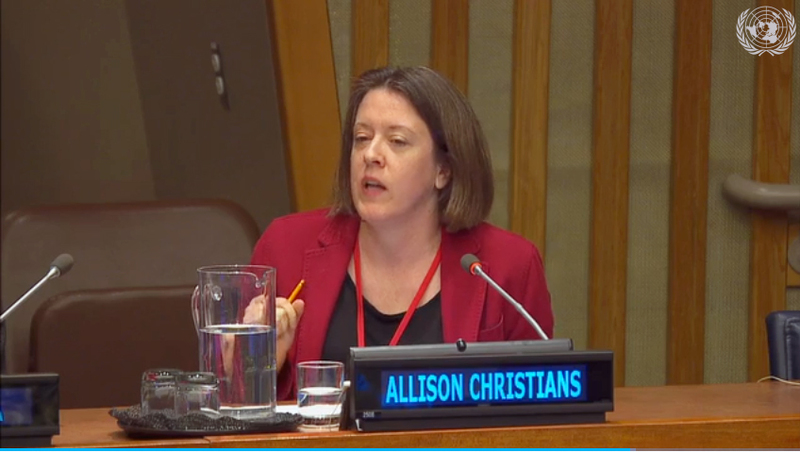 The Stikeman Chair in Tax participated in the global conference, as part of the "International Tax, BEPS and the SDGs" plenary on February 15. The plenary begins at 1:54:00, and Professor Christians's remarks start at 2:14:54. Watch the segment on UN Web TV. 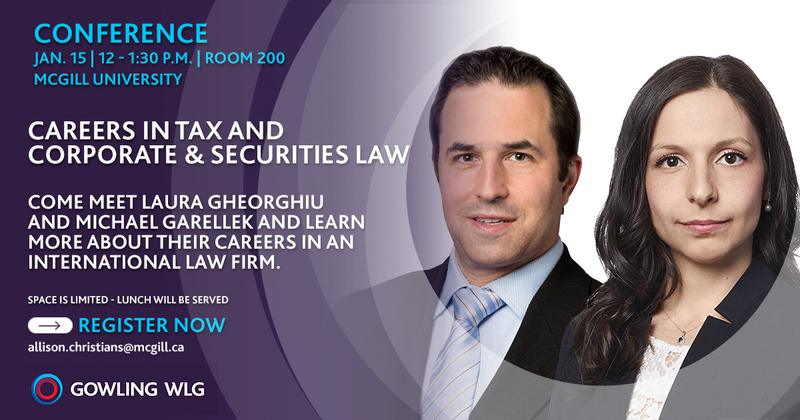 Come meet Laura Gheorghiu and Michael Garellek, and learn more about their careers in an international law firm.